Attracting home buyers is the first step in the home selling process. Being the first step, it is fundamental to attract as many buyers as possible in order to increase the chances of a successful sale. 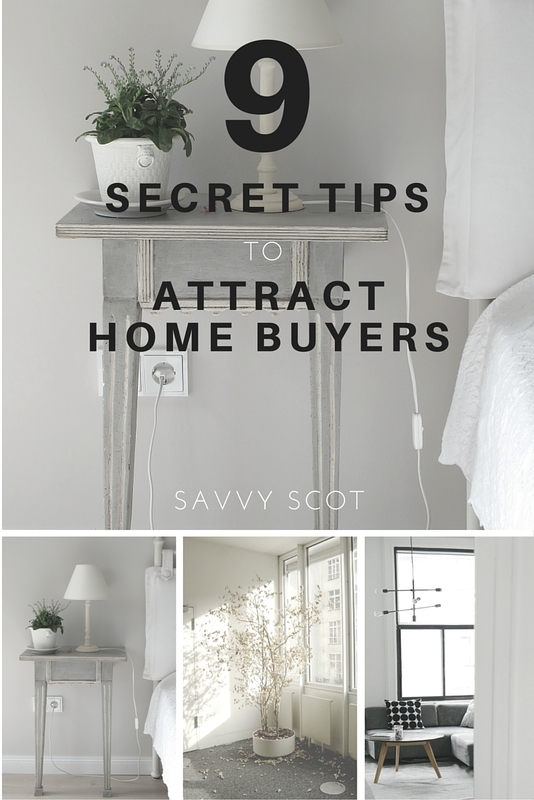 Here are 9 secret tips to get the attention of potential home buyers. Although this applies mostly to small homes, putting mirrors in narrow areas can make the property look larger. The reflection of the light will add more brightness to the overall space too. This works wonders when put in halls. Although in winter there's little you can do to add that beautiful touch to your garden (if you have one), you can tidy borders and lawns to make it look as nice as possible. In case you upload pictures of your home on the internet, make sure you use a picture that has been taken during spring when flowers are starting to bloom. In case your home doesn't receive enough sunlight or it's winter time, you should turn on a heater several minutes or up to one hour before the viewers arrive. Cold homes aren't very welcoming and they can give a negative impression to home buyers emotionally speaking. Many people think there's no use in putting their home for sale before spring. They couldn't be more wrong. Actually, you need to start marketing your house before spring, so when spring comes you can sell it quickly. In the UK, spring time is when home sales go up. If you have started to market it before spring arrives, you will be able to reap off the benefits of a flourishing real estate market. Many online real estate portals get tens of millions of visits during spring, and it is estimated that e-mails and phone calls are almost 50% higher in January than in the previous two months combined. Talk with previous clients. You can do this by asking him or her to provide you with a list. Then, call them and ask questions such as, "how long was your home on the market", "what was the asking and the selling price? ", etc. Make sure he specializes in types of properties such as yours. You can confirm this information by checking his credentials. Check if the agents has won any award recently. Hire someone who has been on this business for at least five years. Make sure he has several listings on his site as this is correlated to how well he is doing in terms of closing deals. Acting proactively will place you ahead of the game when trying to sell your home. While buyers will make their decision mostly based on the home's features and price, offering them a firm handshake and a cup of tea or something warm to drink will definitely make you stand out from the crowd. This move may not guarantee you the first place on their minds, but it will definitely add a few points in your favour. Needless to say, building rapport will always work to your advantage. Many home sellers ask their potential clients to take off their shoes before entering their property. This is a good way to turn people down. Some people feel uncomfortable walking without their shoes even in their own home! Others will see it as a rude demand. If you are worried about germs or dirt coming from the street, putting a mat at the entrance is the best thing you can do to keep both them and you happy. Being too pompous in the words used in your advertising will only serve the purpose of disappointing people when they check your property. Many real estate agents like to use this style to attract buyers. However, this only works in the most initial stage of the process. You can also use bullet points to point our features. You can go a step farther and provide them with locations of nearby schools, amenities, transportation links, etc. Every house has a unique selling point which is its most captivating feature. Point it out too.